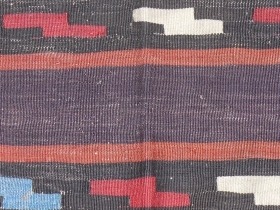 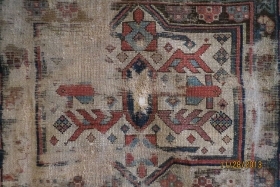 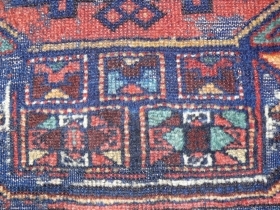 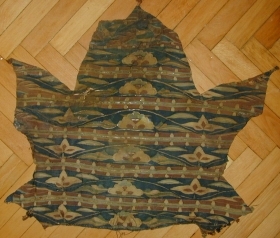 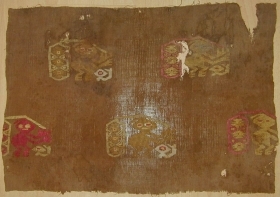 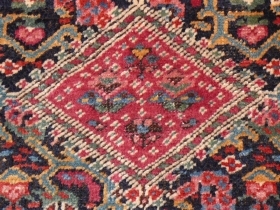 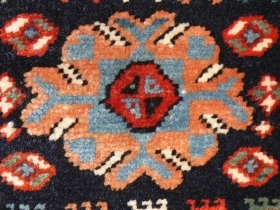 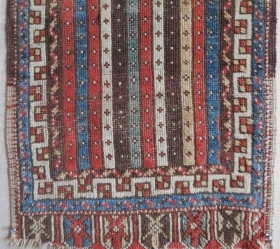 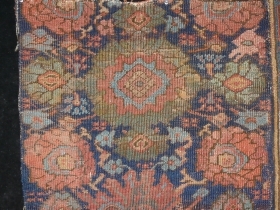 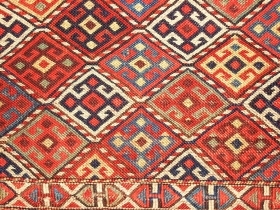 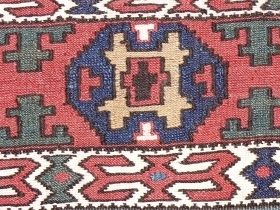 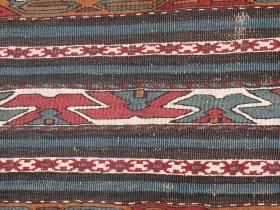 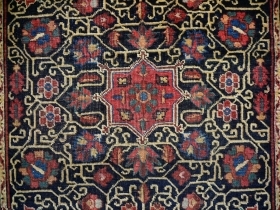 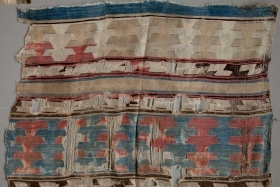 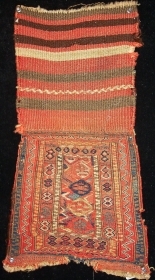 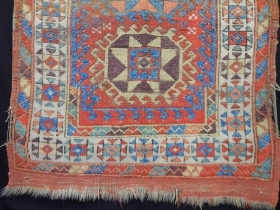 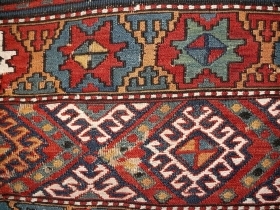 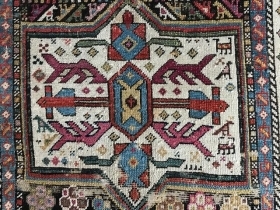 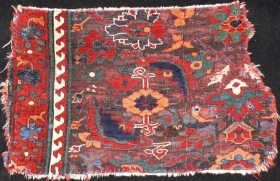 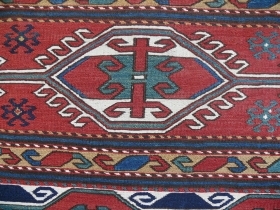 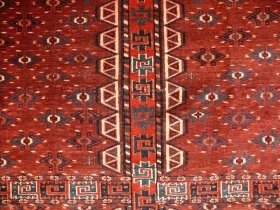 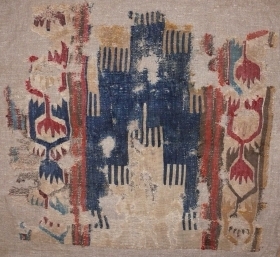 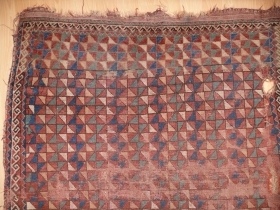 Uighur kosu, c14 11th c.
Exquisite Teke Kapunuk, very good condition, some moth bite, mid 19th silk, many colors. 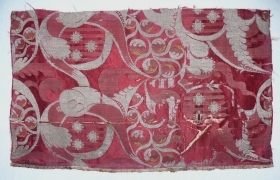 Bizarre silk, Italy, 1700, 31 x 52 cm, 1' x 20.5"
Outstanding mafrash endpanel, 31 x 51 cm, 16 x 20", mid 19th c,. 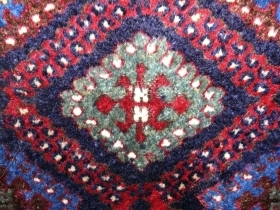 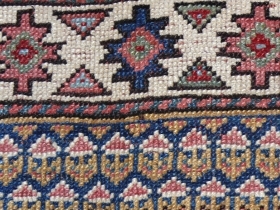 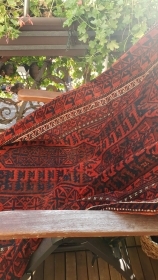 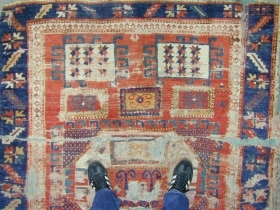 or earlier, with wonderful old colors, finely woven. 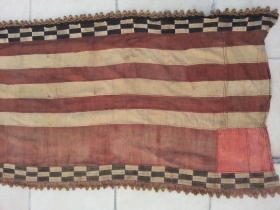 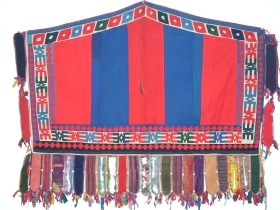 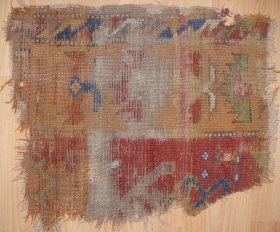 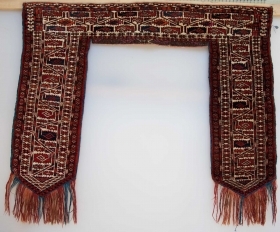 Small Shasavan pile bagface, wonderful condition, nearly untouched, 19thc. 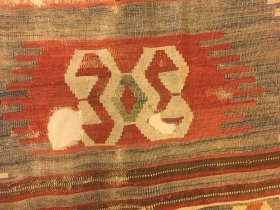 Stolen.